An essential A-Z of the people in cinema, this guide is packed with comprehensive biographical profiles of actors and actresses, directors, producers, editors and other key personnel, as well as notes on the major studios, foreign cinema, cinematic themes and definitions of technical terms. An essential A-Z of the people in cinema. 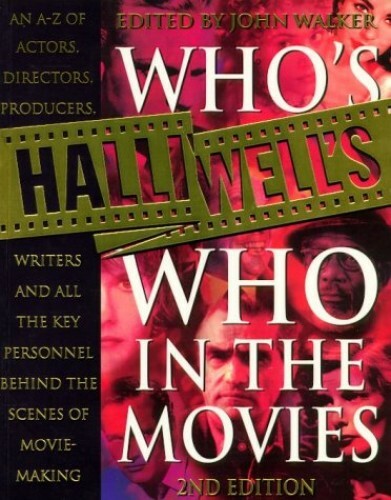 While "Halliwell's Film Guide" is about films, the "Who's Who" contains everything you will ever need to know about the players in them. The guide is packed with comprehensive biographical profiles of actors and actresses, directors, producers, editors and other key personnel, as well as notes on the major studios, foreign cinema, cinematic themes and definitions of technical terms. Completely revised and updated, this new edition includes more substantial biographies of the stars, a history of the cinema from 1894-1998, lists of Oscar winners and nominations through the years, details of all the major film festival awards, as well as over 1000 new entries on the famous - and not so famous - names in the movie industry.